Samsung has been reportedly working on a smartphone with a foldable display for years. At the Samsung Developer Conference in 2018, the company finally showed off a prototype of this device with its new OLED panel dubbed the Infinity Flex display. During the event, Samsung didn’t share many detailed specifications for the device besides the display size. Since Samsung didn’t announce many details, we’ve been looking for any new clues ourselves. During our firmware teardown of the Verizon 5G device codenamed “Bolt,” we found a reference to a new Sony camera sensor that Samsung will use in their foldable phone. While looking through the firmware, we found a file named com.samsung.sensor.imx374_winner.so. 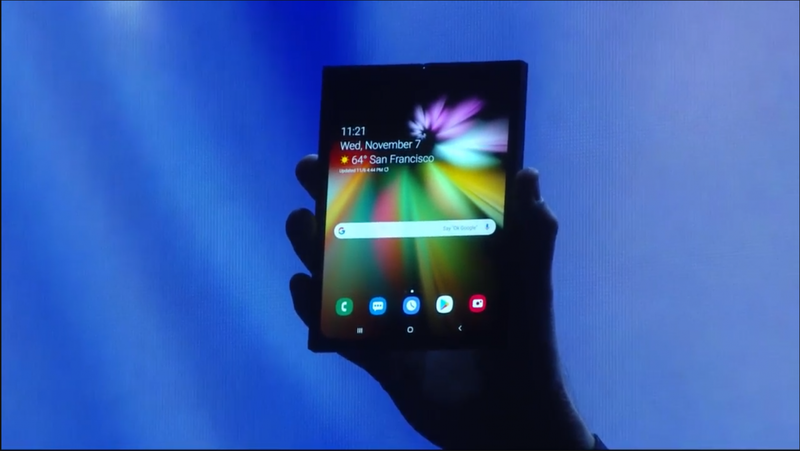 “Winner” is the codename Samsung is using for the foldable phone. These files are library files that represent drivers for the device. This camera driver is for the as yet unannounced Sony IMX374 sensor for the device code-named “winner”. As such, we were not able to find any information about the sensor itself. We were unable to find the camera sensors for any of the upcoming Samsung Galaxy S10 series of devices. It’s rumored that the company will be announcing more information in February right before Mobile World Congress in Barcelona. The Sony IMX374 sensor could be announced at CES or in the lead up to MWC, where all the major OEMs launch their Q1 portfolio of products. Samsung isn’t planning on launching the “Winner” foldable phone until after Q1 of 2019, so don’t expect much launch information around then, but there could be more to learn later in the year. We will keep you updated here with all the information we can find about all these upcoming Samsung Galaxy devices.